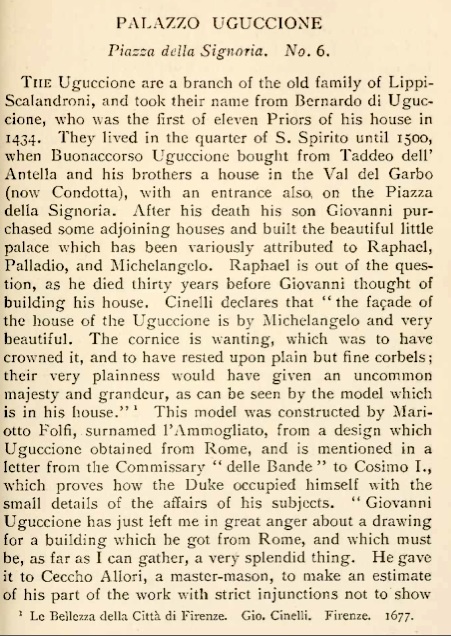 The palace was built over pre-existing structures for Giovanni Uguccioni by Mariotto di Zanobi Folfi starting in 1549 to a design possibly by (depending on what scholarship you believe) Raphael, Michelangelo, Andrea Palladio, or Bartolomeo Ammannati. 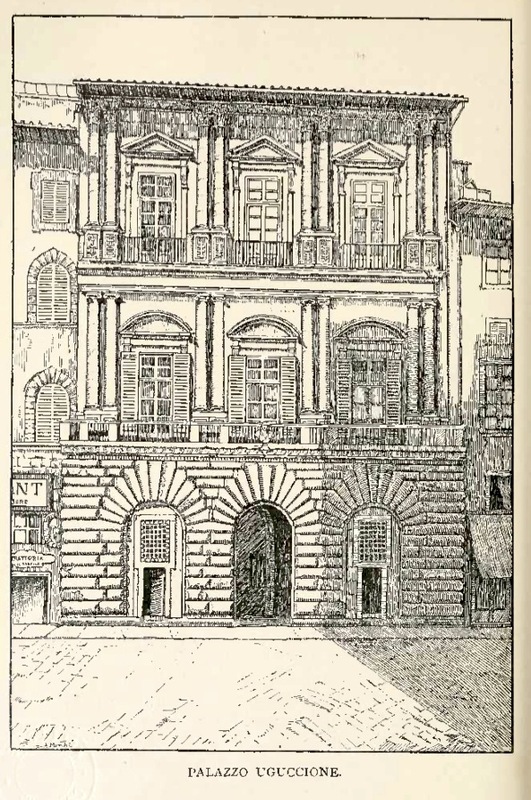 No conclusive proofs exists as to the architect (and if it was one of the aforementioned you would have to believe it would have been) but the original drawing is documented to have come from Rome, and that the style was reminiscent of Raphael's or Bramante's, which were a novelty in Florence at the time. It is the only building in Florence with columns on its façade. The lower floors have three arcades with rustication in pietraforte, the material used for the whole façade. The upper floors have two orders of Ionic (first floor) and Corithian (second floor) columns. The latter's pedestals have sculpted coat of arms of the family. 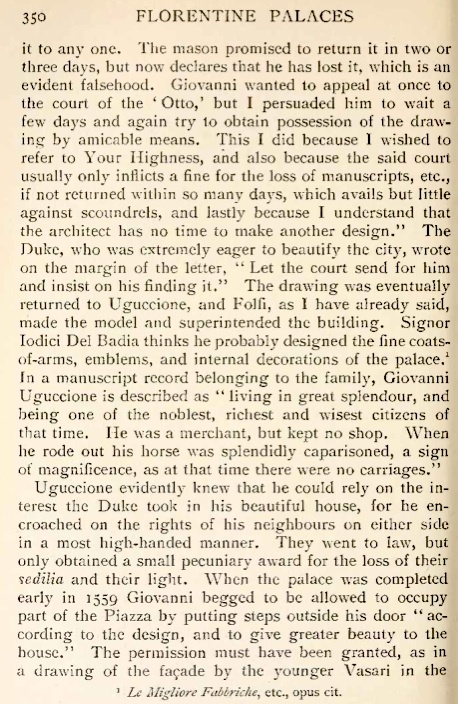 Above the entrance is a bust of Francesco I de' Medici, perhaps executed by Giambologna (this has been temporarily removed for restoration and as of this writing was still not back in place). You can see a small Ram's head above the door, which is part of the support for the bust. The Palazzo currently is home to private residences and the Palazzo Uguccioni Luxury Suites, vacation apartments for tourists.